Today is Memorial Day – the day we honor the men and women who have died serving the U.S. Military. I am part of the Baby Boomers (post WWII babies born from 1946 – 1964). We grew up being shaped by Civil Rights and the Cold War. The decade of the sixties was a time of great social unrest and violence. The Vietnam War, and the veterans of the Vietnam War, were viewed with disdain by many for a very long time because the war was viewed that way. Memorial Day has always been a day a solemn day of thanks for me, knowing so many men and women gave the ultimate sacrifice of their lives for something greater – our freedom. It is a very personal gift for me. I will always be indebted to the service men and women who gave their lives for me. At the core of what they did was their service to this country and to me. I believe we need to take this sacrifice ‘personally,’ so that our actions honor this sacrifice. It is sad that we continue to struggle as a nation to insure that the “self-evident truths” of Jefferson’s time are indeed the experience of the land. Yes, it is ironic that Thomas Jefferson, the slave owner, would talk about ‘all men’ being created equal. Our history has many ‘dark’ moments; some in very recent time with respect to the treatment of women. My sense is that as long as we as human beings are willing to practice intolerance, then there will be those among us who will not be ‘endowed’ with certain unalienable rights. The darkness of our souls, as well as our light, will live on side by side, until we are able to embrace all of the light, all of the time. To truly embrace the sacrifice of who we honor on Memorial day, I would recommend a trip to Washington D.C. and see first hand the war memorials and Arlington National Cemetery. For me, that visit was so humbling and moving. It gave me a visualization of the loss and the sacrifice. 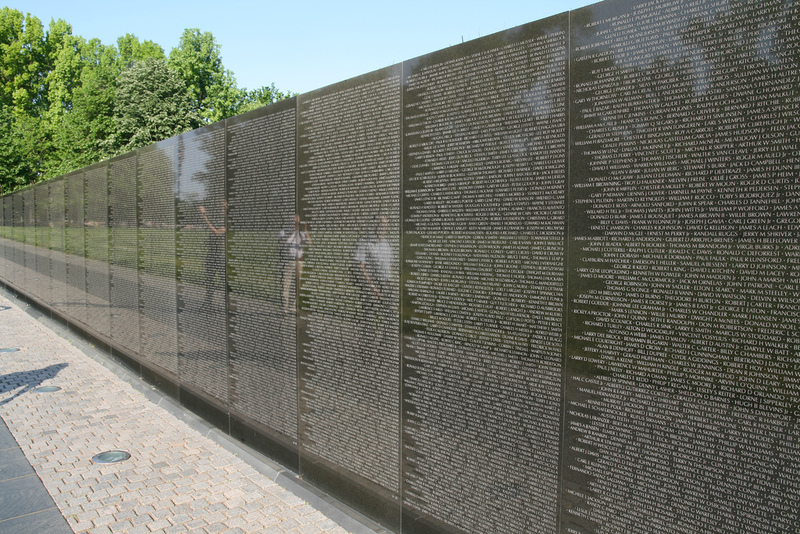 I spent more time at the Vietnam Veterans Memorial Wall, because the Vietnam War was the war of my generation. Walking among the names of the 58,300 who died (including eight women), and touching the names of those I knew, gave me pause. To know that if I had not received a high lottery number in the draft, I might be one of those names on the wall. It was humbling to reflect on the loss of so many who had so much more to live for; for their families who experienced such agony over their loss. My call for action is for parents and grandparents to share with their children and grandchildren the meaning of Memorial Day, and to make it personal. To talk about those things we have as a result of that sacrifice. And to talk about ways they can honor those who die in the service of their country. Take a moment or two to stop and pause today to give thanks for those who gave their lives to preserve our freedom. Our country is full of challenges, but the universal agreement about our obligation to honor those who served and died should not be one of them.